FairWind is proud to announce the signature on a Letter of Intent with Siemens Gamesa Renewable Energy (SGRE) to collaborate on the pre-assembly work for the Formosa 1 Phase 2 offshore wind power project in Taiwan. The project is scheduled for installation in 2019, with pre-assembly to start in the spring. Both companies have committed to a partnership where focus will be on creating local know-how and delivering the best quality while managing costs and achieving efficiency. Through a local branch out of Taipei, FairWind will in Q1 2019 establish a full organizational setup for both technicians and office employees. The 120 MW Formosa 1 Phase 2 project consists of 20 units of Siemens Gamesa’s SWT-6.0-154 wind turbines, with installation set for 2019. The site is located around six kilometers off the west coast of the Miaoli district in the Taiwan Strait with water depths in the range of 15 to 30 meters. This project – and likely other potential Taiwanese projects in the pipeline – will be delivered through a project organisation which combines globally experienced staff with relevant turbine know-how and local employees. Under the terms of the Letter of Intent, FairWind will hire and train Taiwanese technicians in order to be ready for pre-assembly operations on Formosa 1 Phase 2, scheduled to begin in the spring of 2019. The training will be conducted through FairWind’s partnership with European Wind Academy and will include on-site preparation in Europe. “As the outlook for offshore wind in Taiwan is firming up, local know-how will be key in creating value for the market and the society. Therefore, it is important for us to work towards training local technicians already for Taiwan’s first commercial scale project, Formosa 1 Phase 2. With FairWind as a partner for the project we are confident that we’ll jointly meet this objective, and deliver high quality according to our customer’s expectations,” said Hervé Bouraima, Global Commodity Manager, Strategic Procurement, Offshore at Siemens Gamesa. “In FairWind we see this as very much aligned with our core values and our ability to work as a partner in the wind business, creating solutions in close cooperation with our client. Our track record, capabilities and references in establishing and creating new regions have given FairWind the sufficient know-how to succeed in new markets like Taiwan. We are excited to be awarded this project and are looking forward to delivering the FairWind way” Glenn Aagesen, COO FairWind Offshore stated. Should you have any questions, you are very welcome to contact Glenn Aagesen, COO FairWind Offshore at +45 2616 9939 or on email at ga@fairwind.com. 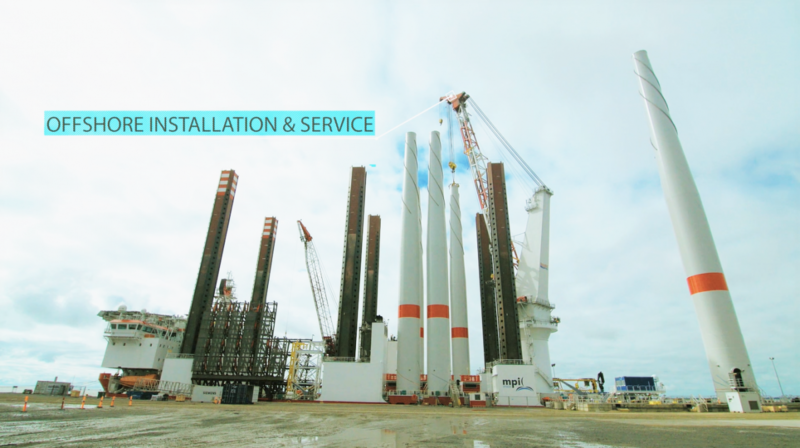 Click here to read more about FairWind’s offshore services.